Tony Perkins has worked in the trenches of government, serving two terms as a member of the Louisiana House of Representatives. 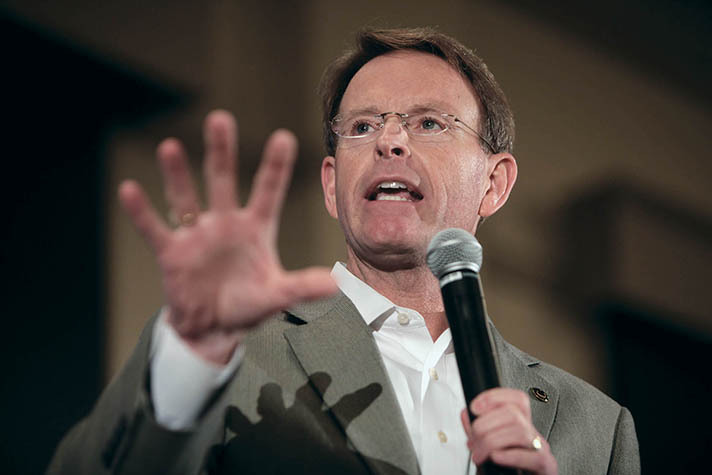 Tony Perkins gets indignant when he thinks about Christians refusing to vote for either of the two major party presidential candidates because they believe both are undesirable. “I want to go into some of our churches and overturn a few tables because we probably had the best selection of primary candidates in the history of presidential politics,” said Perkins, president of the Family Research Council. “Half of them were born-again, Bible-believing, evangelical Christians. Voting for a third-party candidate, or writing in someone not on the ballot, does nothing to address the dire state of the nation, according to Perkins. Perkins said electing Democratic nominee Hillary Clinton will result in “four more years of liberal anti-family, anti-faith policies that we’ve seen under [President] Barack Obama.” At the same time, he acknowledged that there are many unknowns with Republican nominee Donald Trump. Trump, a career businessman and entrepreneur, “has not spent his adult life thinking about public policy or any kind of ideologically driven agenda,” Perkins said. Perkins can relate to believers who are unsettled about character issues with Clinton and Trump. “Both have significant problems,” he said. In his years as a Louisiana state representative, Perkins fought diligently against legalized gambling, yet Trump is a casino owner who has made millions from that industry. Perkins was among more than 900 evangelical leaders who attended a June 21 meeting with Trump in New York City. There has been skepticism about the gathering, partly due to questions about whether Trump was merely trying to charm a major voting bloc. Perkins said a more important question about the meeting is what was—and is—the motive of the church leaders. Perkins believes it’s time for the church, for all believers, to take a brutally honest self-inventory and repent for years of apathy and compromise. 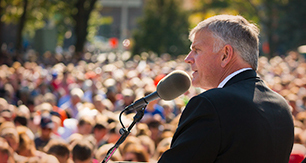 Though only God can turn America around, Perkins said this election will have a major impact on whether or not the country can regain its moral standing. “Our problem is not political, it’s spiritual,” he said. “We’ve got to get our spiritual state in order. But part of that is making a political choice in this election that will either give us the breathing room to get it right or it will make it even more difficult for Christians to collectively be a faithful public witness in this country.